On 14 and 15 June 2014, the first publishing hackathon was held in London. As an international student from China, I was fortunate enough to witness this, the first publishing hackathon in the UK, which was a remarkable event organised by The Bookseller. 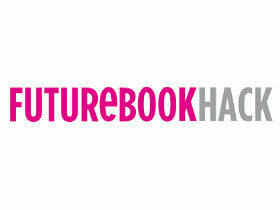 I was a volunteer for “The FutureBook Hack” and it was a fascinating experience. As an MSc Magazine Publishing student at Edinburgh Napier University with a huge obsession for both books and magazines, this event was the perfect platform for me to combine these two things. Importantly, as a Chinese Publishing journalist, I think The Bookseller can always offer unique insights into the UK publishing world. Although I’d previously heard of some events organised by The Bookseller, the immediate feeling I had when I heard of “The FutureBook Hack” was that it would be an obscure technology conference. However, the reality was totally different, and “The FutureBook Hack” really engaged with publishing, bridging the digital, technology and publishing worlds. Publishers around the world are attracted by this revolutionary move in the publishing industry… and “The FutureBook Hack” was such a generous invitation to pull the digital outsider into publishing; a way of alerting people to this digital trend in publishing’s future. My chance to be a volunteer also allowed me to encounter fabulous people, such as the wonderfully funny host Matthew Cashmore, and the gorgeous and intelligent Alice Ryan. It was such a thrill to see so many amazing speakers from various publishing and technology companies, and to gain precious insights into their thoughts and arguments regarding the digital future. It was also a great opportunity to work with staff in The Bookseller, and inspiring to get together with these creative hacks for an over 30 hours; an absolute joy for any digital lovers who are involved in publishing. I consider volunteering as part of The Bookseller events ideal for any publishers-to-be, and this experience will encourage publishing students to hone their existing publishing skills, and remain aware of every digital possibility for the future. Although for many the digital possibility will never offset the charm of the physical book, the optimum balance between the print and digital, which is the core focus of events such as this, is surely more representative of the future of publishing.